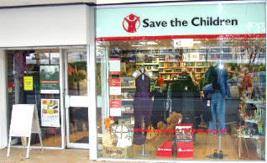 Save the Children operate a number of retail charity shops throughout the UK. William Martin was appointed to undertake surveys of 80 shop units located throughout the country. Our team visited shops located in places as dispersed and Glasgow, Edinburgh and Perth in Scotland, Leeds, Chester, Worcester, Barmouth in Wales, St Ives in Cornwall and Sidcup in Kent. The surveys included reporting on the building fabric as well as the mechanical and electrical services and asbestos. We also provided a Fire Risk Assesment for each store. Repair and maintenance work identified by the surveys was costed and prioritised against a five year programme.